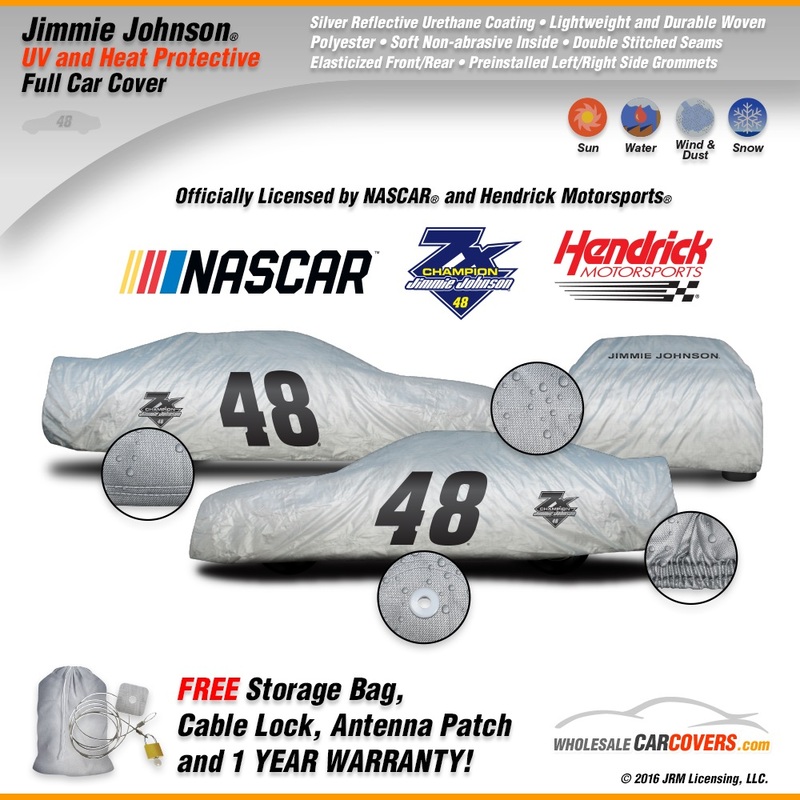 This Officially Licensed Jimmie Johnson® car cover features an oversized 48 as well as the 7X's Champion logo on both the drivers side and passenger side of the cover. The name Jimmie Johnson® is also printed across the back. This cover is made from a high grade light weight polyester material that is UV resistant, heat reflective and made for all weather conditions. It will help keep your car's cabin cooler and also prevent the interior from fading. These covers have durable double stitched seams for maximum durability and the front and rear hems are elasticized to help ensure a tight fit. Preinstalled grommets have been added to the driver and passenger side of the cover to help keep it in place during high winds. Also included is a FREE cable lock, storage bag for when not in use and a 1-year warranty against manufacturer defects. Each cover comes in a collectable retail box. Suggested retail price $99.99.